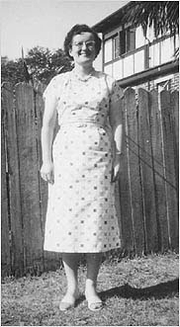 Patricia Carlon was born on a farm in Wagga Wagga, Australia, and lived most of her life with, or next door to, her parents in a suburb of Sydney. She began writing in her teens and had her first story published at age 17. She produced articles, magazine serials, and romance novels, often under the pseudonyms Patricia Bernard and Barbara Christie. She also had several stories in Ellery Queen's Mystery Magazine. Her most notable works were 14 psychological mystery novels published between 1961 and 1970. Then her books went out of print. She became known as the cat lady in her neighborhood because of all her feline companions. She never traveled or gave interviews. Some of her eccentric behavior was explained after her death, when it became known that she had been profoundly deaf since age 11. Some 40 years after first publishing these novels, Miss Carlon had the satisfaction of seeing them "rediscovered." Most of them now have been reissued in Australia and the UK and USA. Patricia Carlon is currently considered a "single author." If one or more works are by a distinct, homonymous authors, go ahead and split the author. Patricia Carlon is composed of 2 names. You can examine and separate out names.